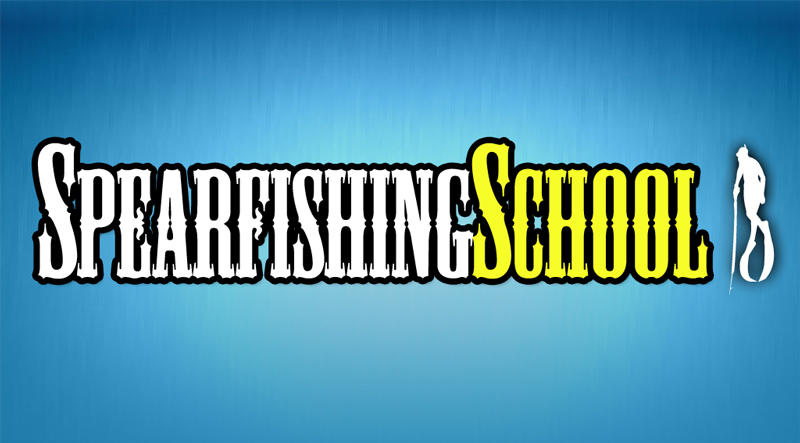 If you haven’t listened to THE SPEAR spearfishing podcast via iTunes, now’s the perfect opportunity to get started. The beauty of using iTunes (and the Podcast app for iOS) is that by subscribing, each time there’s a new episode you’ll automatically get it! 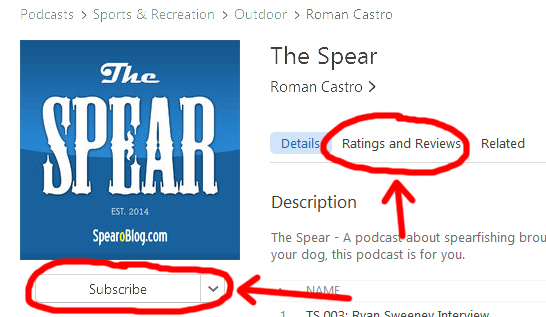 Since THE SPEAR podcast is free, one of the great ways you can support me (in addition to subscribing and sharing) is to write a review on iTunes. These reviews are seen by other people and may help them decide whether or not to give THE SPEAR a shot. 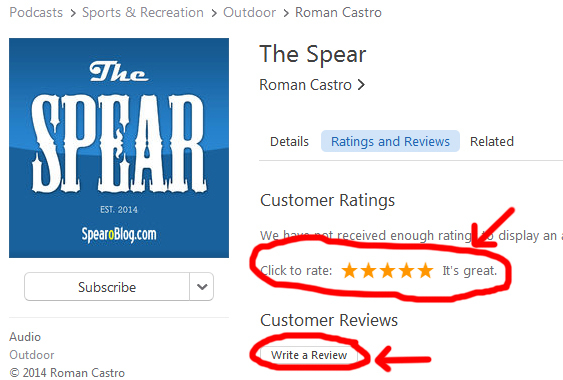 They’re also considered by iTunes and help a show’s ratings, so your review of THE SPEAR will mean a great deal to me! Look for the blue “View in iTunes” button in the left sidebar and click on it to open iTunes on your computer. 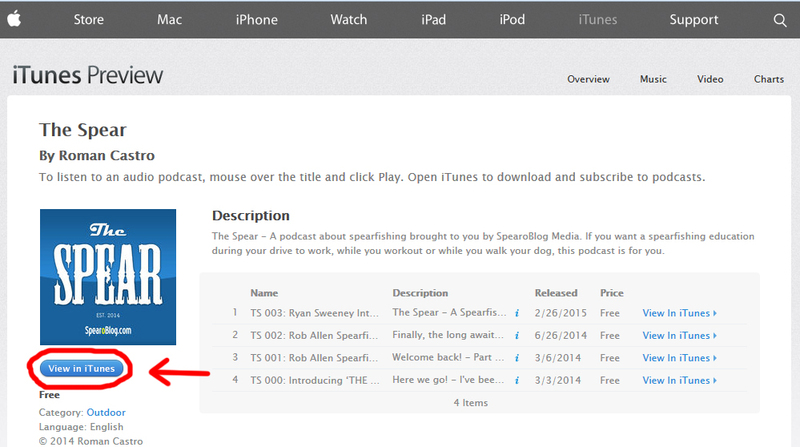 That will open THE SPEAR podcast channel within iTunes. 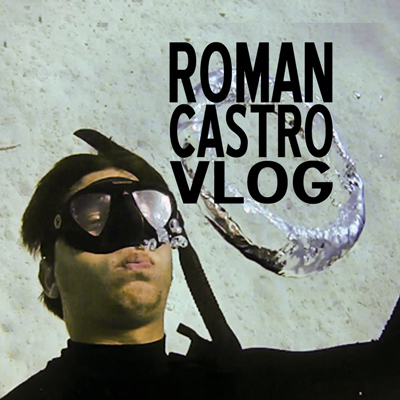 While you are here, be sure to click on the Subscribe button on the left side just under THE SPEAR blue logo. Thanks for that! Since you’re logged into your personal iTunes account Apple will know that rating is from you. Write in what you want to say about the show and click Submit. That’s it! Apple will review the comment for appropriateness and then publish it within 24 hours generally. Don’t panic if you don’t see your review immediately, it will take some time. I’m not going to tell you what to say in a review about my show, nor am I even going to tell you it needs to be a positive review (though those are appreciated!). Constructive criticism is certainly welcome too. However, if it’s your intention to support THE SPEAR Podcast, it might be helpful to review the kinds of things you might say for greatest effect. First, explain the benefit. What is it that you get out of THE SPEAR that’s so great? Second, mention who you think might be interested. Whomever you think will benefit most from listening, mention them. Third, if you can, pull in a quote or line from one of your favorite episodes. If you heard something that really impacted you, share that with other readers. 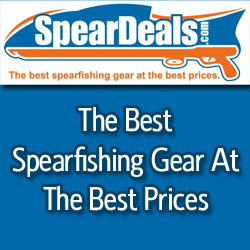 So if you haven’t already, please stop by THE SPEAR show at http://www.SpearoBlog.com/itunes/ and subscribe and leave me a review, and you’ll have my eternal gratitude. And while you’re there, be sure to catch up on any old episodes you might have missed! If you have any questions at all about leaving a review or subscribing to THE SPEAR, please let me know in the comments below.